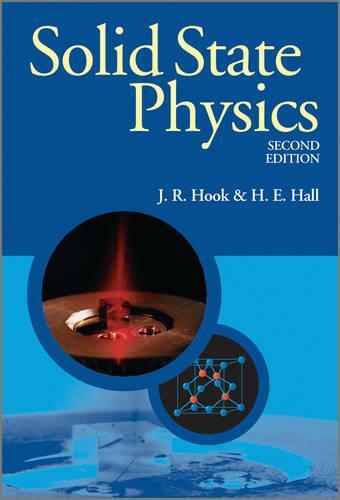 Part of a series of textbooks designed for use at undergraduate level, this 2nd edition covers the whole range of solid state physics, including important recent developments, and aims to present the material in a more accessible and simplified manner. A major change to this edition has been to introduce the idea of mobile electron states in solids through the free electron theory of metals, rather than through the formation of energy bands by overlap of atomic states on neighbouring atoms. To take acccount of recent developments, the amount of material on semiconductor physics and devices has been substantially increased, a chapter has been added on the two dimensional electron gas and quantum hall effect, and sections on quasicrystals, high Tc superconductors and the use of electrons to probe surfaces have been included. A chapter on the electrical properties of insulators has also been added.